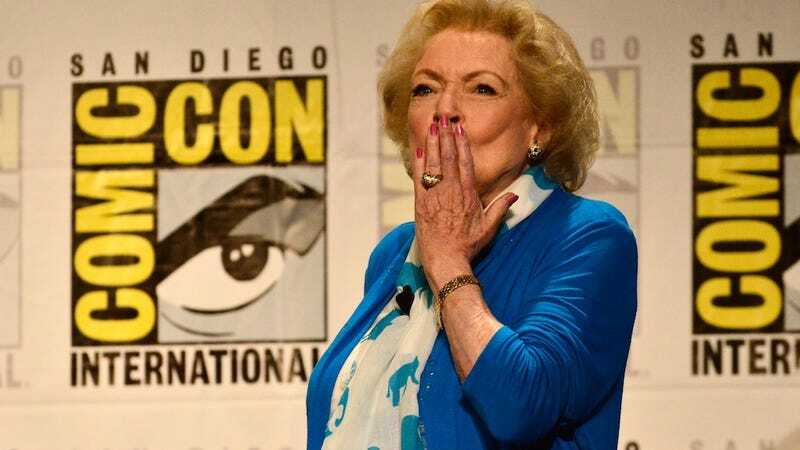 Fret not: Despite Facebook posts to the contrary, Betty White is alive and kicking. Rumors of her demise are thanks to America's poor reading comprehension skills and some confusion over her bottle-blonde hairdo. "Actress Betty White, 92, dyes peacefully in her Los Angeles home" read a headline published Wednesday on the satirical website Empire News. The story, which purported to quote the actress' agent, was a tongue-in-cheek piece about White not being a natural blond. The piece began zipping around Facebook and the joke sailed over more and more readers' heads because nobody reads anything more than the headline. This is, in fact, the second such Golden Girls-related incident—an old news story catapulted Facebook users into mourning for Rue McClanahan (a.k.a. Blanche) back in June, even though she's been dead since 2010. So please, do your due diligence when sharing any news items related to beloved celebrities.